We are excited to announce that the Notables Book Club is back for its second year! 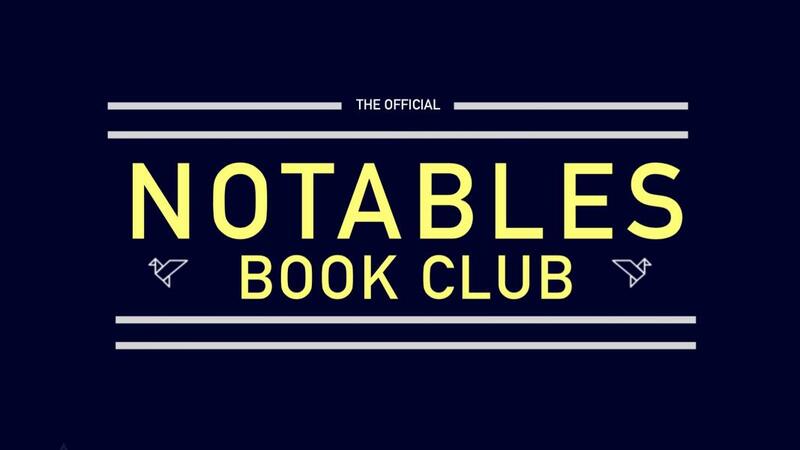 Notables is a book club that features a prominent community figure choosing a book and leading a book club discussion. Each month there will be a different notable and a different meeting spot, but remember you don't have to attend the book club each month just because you signed up for one. You may choose the ones you attend. Continue reading for instructions on how to sign up for a Notables Book Club date! Spots are limited! Our next Notables guest is Cathy Feyt, and his book choice is Killers of the Flower Moon by David Grann. This is happening Thursday, April 18th at 6:30 p.m. at the Tri-Cities Historical Museum. Cathy Feyt serves as board member for the Ottawa County Parks Foundation and the Tri-Cities Historical Museum. When you buy your copy at the store, sign-up with your name, and please provide your phone number and email in case of cancellation. If you buy the book through our website, your information will automatically be received. If you already have a copy of the book, you can still attend by giving a $10 donation the night of the club when you arrive. That money will be go to the R.E.A.D. program (an adult literacy program). When you order on-line, shipping charge will apply, and these orders receive a 10% discount! Cathy Feyt is a retired educator and currently serves as a board member for The Ottawa County Parks Foundation and the Tri-Cities Historical Museum. She spends time traveling, camping, gardening, attending music festivals, wandering around in search of birds and wildflowers.